There will be no juniors training over the holidays! Training will re-commence the week commencing 7 October 2018. All training sessions will be advised via team app. Today – Saturday 15th September saw the close out of the 2018 Winter Season with the completion of the Winter Grand Finals in all grades. After the scheduled Grand Final games were washed out the week before, the day opened up to glorious sunshine on the Goldy. Surfers had grand final teams in two grades, the Division 3 Dodgers were up against Twin Cities and the Division 4 Sharks were up against Runaway Bay and we came away with championships in both grades!! 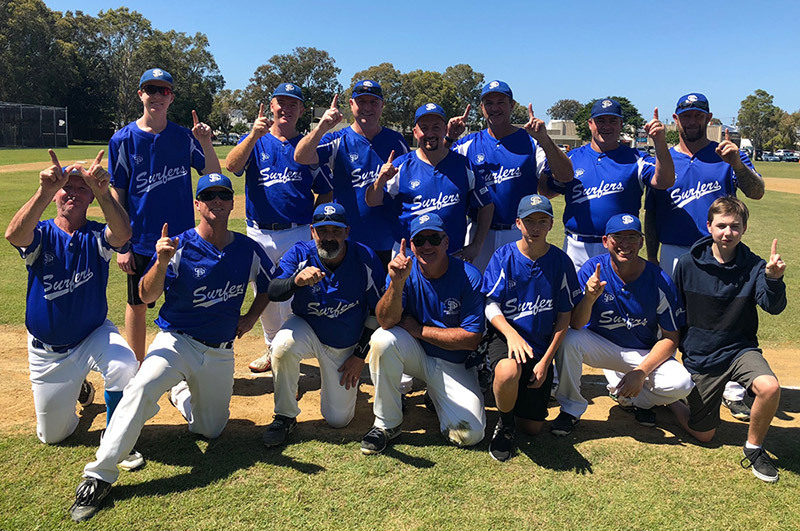 The Div 3 boys went back to back closing out another championship in a clinical display against Twin Cities at Nerang Baseball Complex. Rob “Big Dog” Cunningham threw a complete game on the mound and kept the Twin Cities batters guessing through his accuracy and changes of speed that didn’t allow the Twin Cities batters to really get hold of him. Doggy was ably supported by the offence who cashed in with the bat, hitting the holes and keeping the line moving to continue tacking on runs each innings. The Dodgers were on the verge of a mercy rule victory but closed it out to get the chocolates 11-3. Frank “Razor” O’Rourke shares some inspirational words in another of his traditional post-game huddles – this time as champions!! 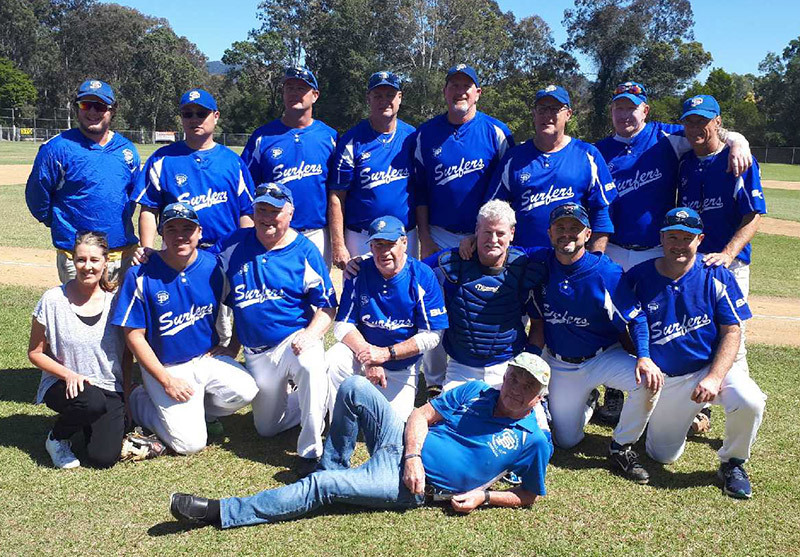 Surfers Division 4 Sharks – winners are grinners!! 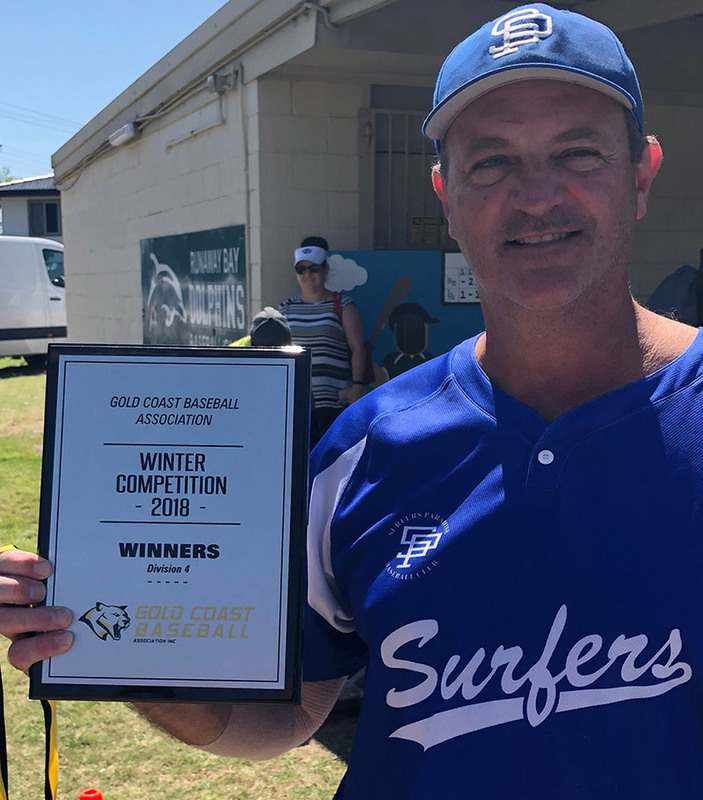 It was the battle of the ocean at Paradise Point, with the Surfers Sharks taking on the Runaway Bay Dolphins and the Sharks bared their teeth to add another championship in a high scoring affair. Runaway Bay got out of the blocks early tacking on 6 runs in the first inning against starting pitcher James Shields after some defensive slip ups by the Sharks, but the boys kept on chipping away at their lead. The cause was helped with home runs to Jason Grimmond and Ron Hanson to tack on some much needed runs. Darren “The Machine” Ashcroft came onto the mound to complete the game and was also the winner of the GCBA Division 4 pitching award for the season. 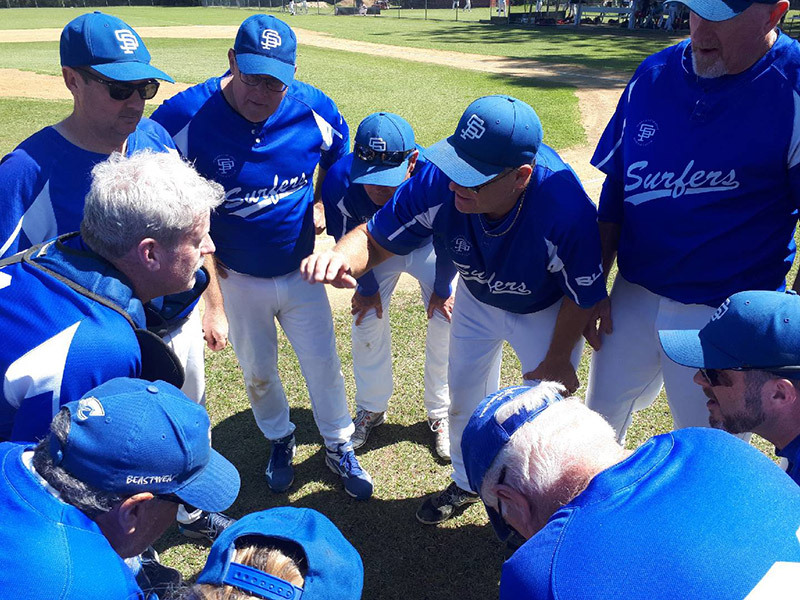 The Sharks finally took the lead in the bottom of the third innings after a 5 run, 2-out rally and then added on more to run out the eventual winners 18-11. Andrew “Mud” McDonald shows off the winner’s plaque. Thank you to all the players/parents who have registered! If you have not yet registered, please complete your online registration by end of day tomorrow, Sunday 16 September so that teams can be finalised. If you have any questions, please contact Jus White, SPBC VP | Registrar by call or text on 0447 282 898 or email cjhmwhite@gmail.com. 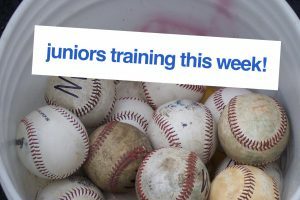 Juniors Training Commences THIS WEEK! The clubhouse will be open for registration and uniform orders. All returning players, coaches, scorers and officials are invited to register now for the upcoming season. 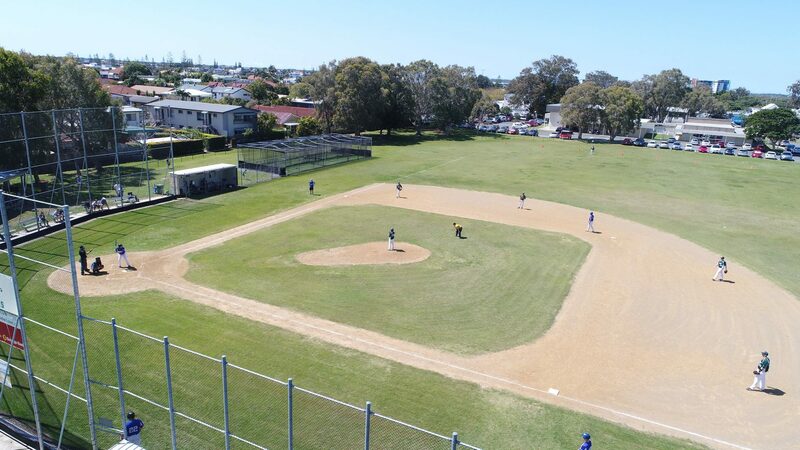 Registration fees that are to be paid at time of player registration are the mandatory Baseball Australia and Baseball Queensland fees, which includes player insurance. The Surfers Paradise Baseball Treasurer will issue invoices for payment of the Surfers Paradise club fees. If you are having difficulties registering online, please come to the club sign-on day this Sunday 9 September from 10am – 12 noon. For those who have obtained a Queensland Government ‘Get Started’ Voucher, you will need to present these to the club on Sunday 9 September to be processed. 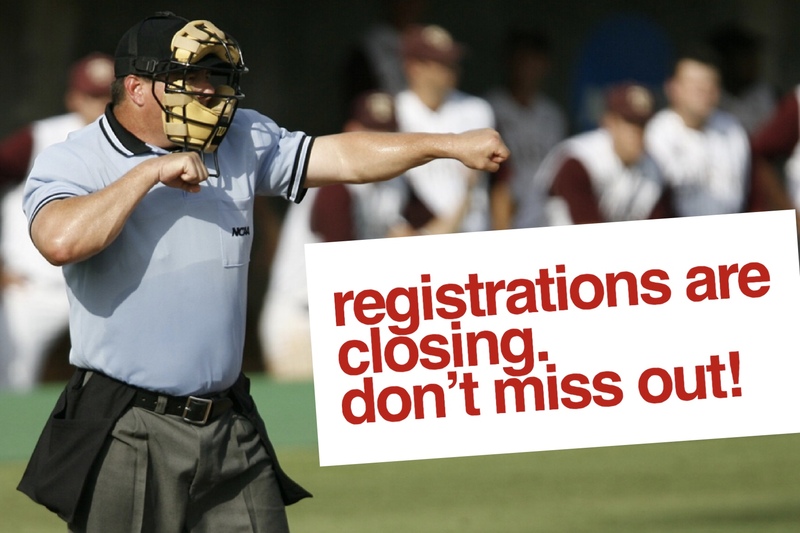 Registrations will close on Sunday 16 September. Please register ASAP as this will assist our volunteers with the pre-season organisation including formation of teams in each division.